Many video cards, graphics processors or graphics processing unit (GPU) on notebook computers overheat and fail to function appropriately. 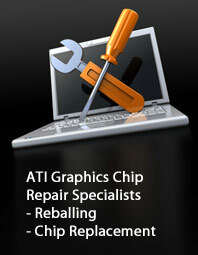 As part of our Fujitsu ATI graphics repair and replacement services, our professional, component level laptop repair technicians are well-informed on the latest repairing techniques and take advantage of our advanced soldering devices, BGA rework stations and BGA reflow machines to troubleshoot and fix laptop graphics card failures. Covered by a 90-day back to base warranty, Creative IT’s Ball Grid Array (BGA) reballing and reflow services are the perfect solutions for laptop graphics card failures and problems. Alternatively, we can help you with the replacement of video card and motherboard in case your laptop’s video card or graphics processors are severely damaged and cannot be fixed. 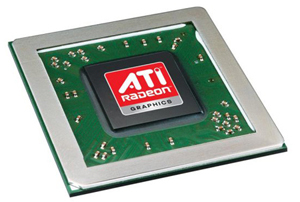 As part of our London Fujitsu ATI graphics repair and graphics processor repair services, our experienced component level repair technicians can reflow the solder, and in certain situations we have to replace the video cards or graphics processing unit (GPU), or reball them. Feel free to call us on 020 7064 4999 or email us at info@atigraphiccardrepair.com if you have any questions about our fast turnaround Fujitsu ATI graphics repair and video card replacement services. To discuss about your specific notebook video or graphics issues, you can also walk into our Central London repair centre at 80 Willow Walk, The Willows, Unit 1, London SE1 5SY at anytime between 9:00 am to 6:00 pm from Monday through Saturday. Our knowledgeable team will take care of your requirements while making sure that they are completed on time in an efficient and economic way.